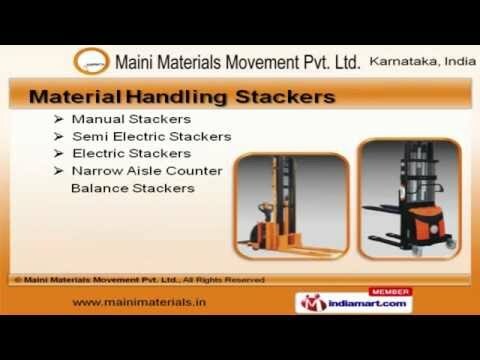 Maini Materials Movement Pvt. 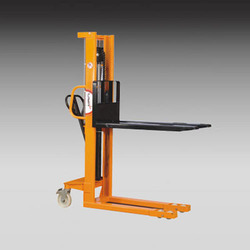 Ltd. is a manufacturer, supplier, importer and exporter of Material Handling Stackers, Loading Levelers, Electric Buggies, Storage Solutions, Forklift Trucks, Lifting Equipment and many more. Maini Materials Movement Pvt. Ltd. (MMM) is a part of the Maini Group, head quartered in Bengaluru, India. 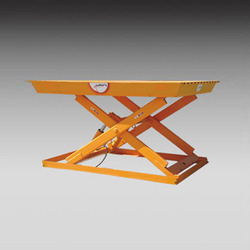 MMM designs and manufacture, supply, import and export equipment ranging from Material Handling Stackers, Loading Levelers, Electric Buggies, Storage Solutions, Forklift Trucks, Battery Operated Carts, Lifting Equipment, Floor Transportation Equipment and Towing Equipment for various applications across industries – Life style, Hospitality, Health care, Real estate, Travel and Tourism, Service and Manufacturing, Government and De fence. Aftermarket service is one of the core strengths of MMM. The company has developed and offers a unique value proposition in the form of Complete Customer Care (CCC) to its customers. This program is unique and one of its kind in India. 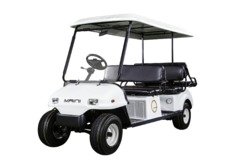 Other forms of aftermarket support services includes spare parts supply and annual maintenance Contracts (AMC). Armes Maini – MMM’s JV with Ferretto Group, Italy manufactures industrial racks and storage systems comprising of heavy duty pallet racking, bolt less multipurpose shelving, mezzanines, decking and special solutions. We are committed to a policy of total quality in all aspects of our operation. We manufacture our products to deliver performance excellence through defect prevention and continuous improvement programs to meet and exceed customer requirements. All employees are trained to understand the requirement of quality standards, regardless of their function as quality affects every aspect of the business. Accordingly, each employee is mentored on the importance of quality in their role, to ensure customers receive consistent 'high quality' products and services. MMM believes that the achievement of an International quality standard is not a single event but an on-going commitment which remains a continual obligation.